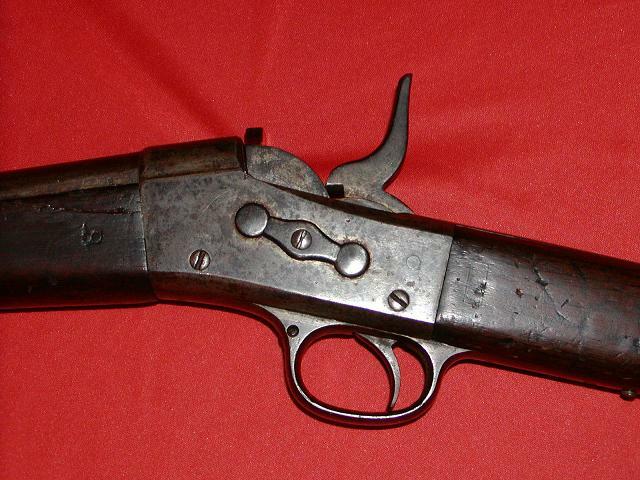 The New York State model shares a unique trigger guard and internal mechanism with the 1871 Springfield contract rifle. These two rifles have a safety system built in that requires the hammer to be re-cocked after the breech block is closed. The parts in these trigger guards do not interchange with any other rolling block. Both the trigger and locking levers have two parts. The hammers are machined the same on the lower end. The NY State Hammer is significantly taller than other rolling blocks and is the most readily identifiable feature of this model. 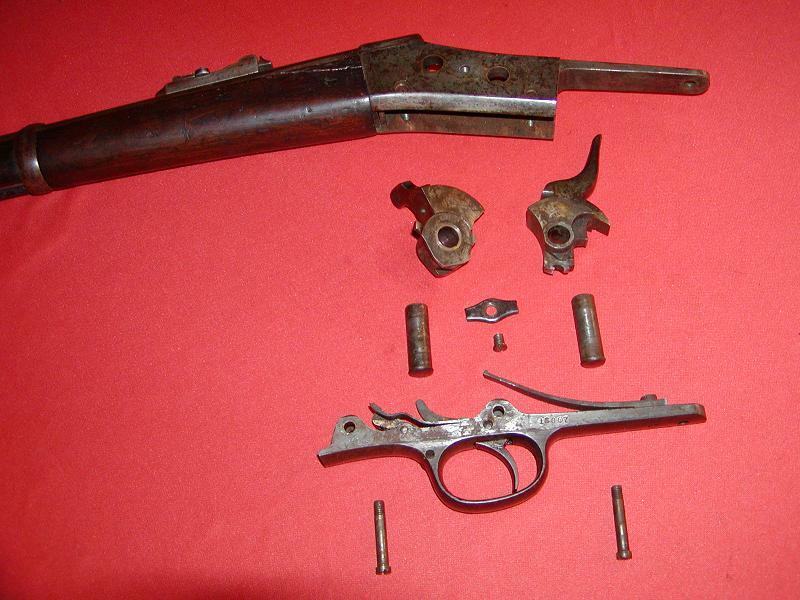 The firing pin retractor on the NY State model is unique to this rifle, the late #1 model retractor is not interchangeable. The late rotary extractor can be used however fitting may be required.